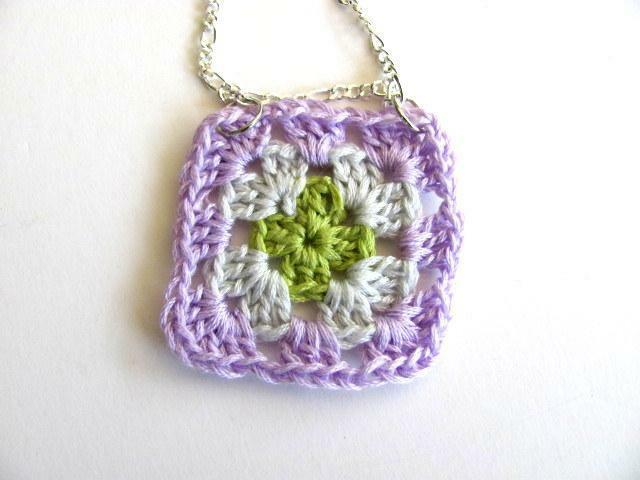 I was intrigued by the idea of creating a tiny granny square and thinking that granny squares aren't just for afghans! 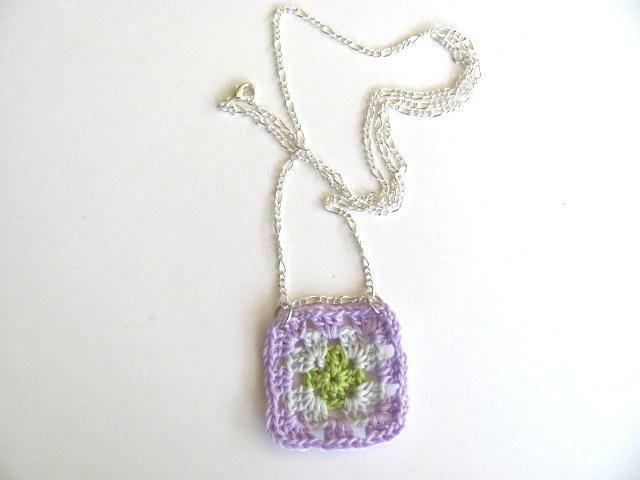 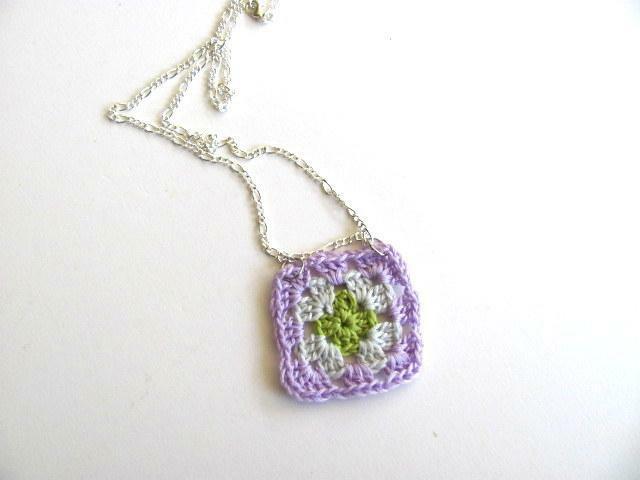 This piece was crocheted with fine thread in soft spring colors-lilac, lime and pale blue. 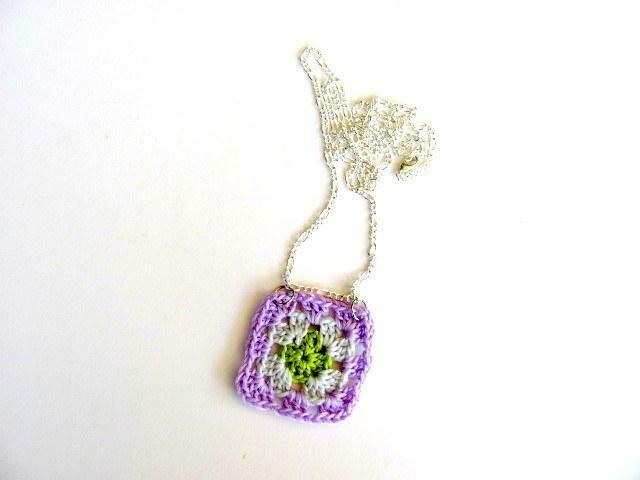 It measures 1.5" square and is secured to a generous 30" silver tone chain. 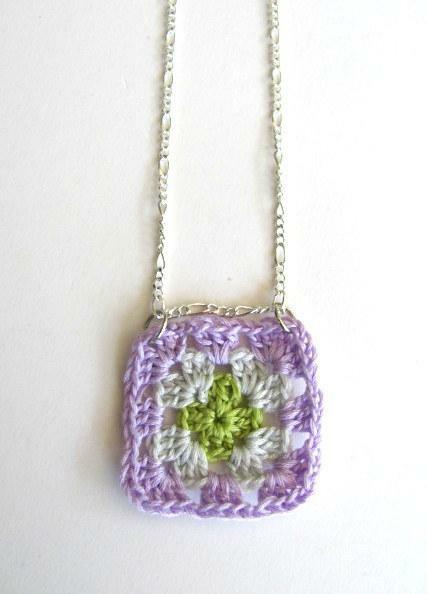 A distinctive piece that is certainly one of a kind and a great piece for your outfit at any time of the year!